Here, for the first time, is a definition of the marriage relationship, not in the language of “till death do us part” but in terms of “beings” and “postulates.” From that viewpoint arises not only the exact causes of a failing marriage but a precise technology to reunite estranged partners—discoveries that can be applied with equal success to a thriving marriage. And when it comes to children, the benefits are just as life-changing. You can make any marriage stick or you can recover any facet of any marriage or plaster one back together again any way you want to. It takes a little doing and it takes a little guts. 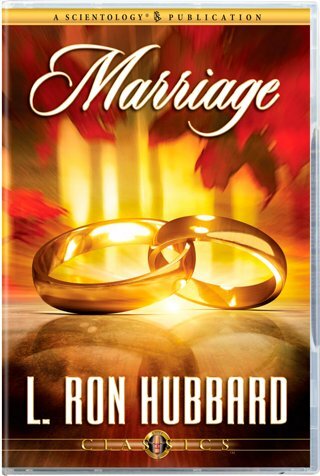 At the time of this lecture, L. Ron Hubbard had recently achieved a major breakthrough concerning Responsibility, one that removed the barriers to case gain at all levels of the Bridge. Immediately following his announcement of the new technology, he detailed its application to marriage and, indeed, to the basic building block of a culture, the family. Here, for the first time, is a definition of the marriage relationship, not in the language of “till death do us part,” but in terms of “beings” and “postulates.” From that viewpoint arises not only the exact causes of a failing marriage but a precise technology to reunite estranged partners. Indeed, so embracive are these discoveries they can be applied with equal success even to a thriving marriage. When it comes to children, the benefits are just as life-changing. Whereas society considers it inevitable that youth reaching their teens will make life difficult for their parents and eventually depart the family, Mr. Hubbard not only reveals the cause of this so-called “natural phenomenon,” he provides an effective remedy. No marriage need be irreconcilably broken, no family permanently divided, for here is technology that has salvaged countless marriages and reunited families.